I want to live in a world where families (in all their diversity) are cherished and supported; communities are inclusive, resilient and vibrant; the environment is valued and protected; and injustice is a thing of the past. I know I’m a dreamer and an idealist but I also know that change is possible. Blogging is one small way I can contribute to a better world. Through the blog, I hope students, practitioners, families and anybody who wants to make a difference will find useful and inspiring resources about inclusive, strengths-based approaches to working with families and communities , underpinned by social justice and social change. I write as a lecturer (at the Family Action Centre of the University of Newcastle), a practitioner, a peace and environmental campaigner (mainly with the Alternatives to Violence Project and Transition Newcastle ) and a family man (my partner and I have two wonderful daughters aged 18 and 15). 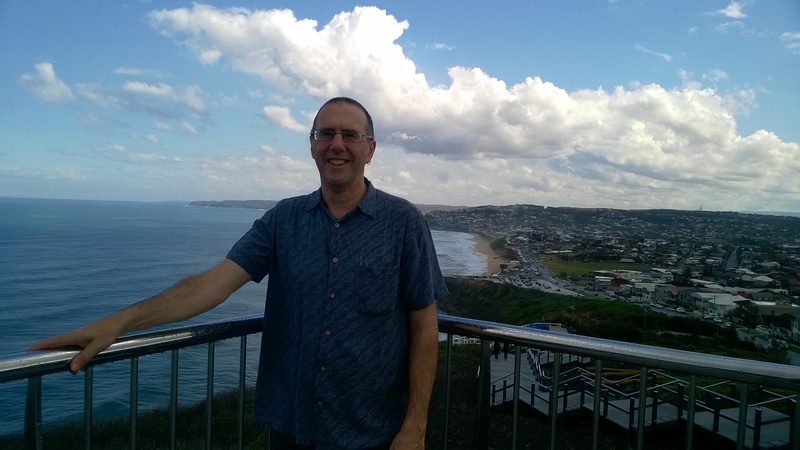 You can learn about some of my current projects here or find out more about studying a Graduate Certificate or Master of Family Studies at the Family Action Centre, University of Newcastle by clicking the links. I started working with communities in 1983 (through social change movements) and have continued to do so ever since in both paid and voluntary capacities. Some of the roles I’ve had include supporting homeless youth and residents of caravan parks; promoting strengths-based community development; facilitating workshops on a range of topics in prison, schools and the community; volunteering with peace and environment groups; teaching at TAFE and University; and supporting community organisations with planning and evaluation. I’ve worked at the Family Action Centre since 2003, first as a community worker with the Caravan Project before moving into a more academic role in 2008. As an academic, my focus has always been on family and community work practice, and make sure that I am involved in grass roots projects so that I keep developing my practice skills. I acknowledge the Awabakal and Worimi people on whose land I live and work, and pay my respects to their elders past, present and future. The Sustaining Community blog does not necessarily represent the views of the Family Action Centre nor the University of Newcastle. Who is the author of this ? And when it is published ? I’ve made my name clearer and added the date. The first sentence of your About me, is ideal as a VISION statement (if written in the present tense) for all organisations involved in community work. I’m publisher of ‘Lambton Local’ which I’m guessing you would have received in your letter box in recent months. Would like to do a story on the yarn bombing of Lambton Park bridge (hopefully) in my December edition. Please let me know if the kid knitters would like to get their message out to the wider Lambton community. Also would like to speak with you about perhaps contributing to ‘Lambton Local’ on a regular basis. Thanks Mark. Thanks for that. I’ll check with them and be in touch. The Transition Network is putting on a roadshow for the North West of England and we are inviting anyone who is in any way, working towards a sustainable future for their community, to join us for the event in Lancaster this July 12th and 13th. We would love to meet you. Could you please pass these details around your network lists. Thanks for the invite Wendy. It’s a bit far for us to come – we’re in Newcastle Australia! You are not alone. It is inspiring to see so many people trying to find more sustainable ways. Your blog is fantastic. I have just subscribed and I look forward to it greatly. I encourage you to check out my solution. http://www.RoadStalls.com.au. It is a new directory of local produce stalls. From backyard gardens, community gardens to farmers. I would greatly appreciate any support you can provide in growing my newly launched community. what a fantastic website with loads of fantastic information for a community development / engagement worker who works horizontally and vertically! Wondering what your copyright is on your articles – creative commons or ??? Or another way to say it – is I’d be interested in re-publishing some of your articles. I am working on building sustainable communities in the Twin Cities of Minnesota. Our paths seem amazingly parallel and we are working with ABCD and Transition Towns et al. Our site is at http://www.sustainingcommunity.org – it’s in a bit of its own transition as we gearing up for community engagement to gotv to grow green jobs and economic equity for our upcoming city elections as well as shifting it to bring together environmental commissions, businesses, congregations, neighborhood groups to work on hands-on projects and collaborate on ideas. Thanks for your comment – I’ll look forward to having a look at your website. It certainly sounds like we have a lot in common! Thanks for your question too. I have updated my blog to show that yes it is licensed under a Creative Commons License. So feel free to use it for non-commercial purposes and with some attribution. My name is Sam Marquit, I am an independent ‘green’ contractor and co-author of Fair Marquit Value I am wondering if you’re interested in featuring me on your blog because I would love a chance to speak with your readers about the idea of environmentally responsible tourism as it’s applied in modern day travel and stay. If you think this topic, or any other for that matter, would be of interest to your readers, please let me know and I can begin drafting up something that I believe will mesh with your blog very well. I look forward to hearing back from you; hopefully we can work together on spreading the word on important topics like this as they relate to environmental awareness! Thanks, but at the moment I’m not looking for guest blogs. what a wonderful way to continue your educating tot he masses and also helping change the way people see about the world itself. I absolutely love your blog, having been on it for an hour now. I am a motivational speaker and speak to people about doing something with the things they are most passionate towards. If we all took our passions and invested some time into them, we would all being bettering the world and our world would be a better place – with the happiness alone! Keep up the great blogging and teaching! I thought because of your interest in sustainability and community that you may be interested in a tour of Intentional Communities, where people live and daily put many of these principles into practice, that should be taking place during the NSW Easter school holidays (8th – 21st of April). Please see http://www.gfb.cc/tour.html for details of the tour (copy & paste into web browser). The tour has also been publicised in the latest OWNER BUILDER magazine in an article titled ‘RURAL LANDSHARING CO-OPERATIVES’ and this week on abc open . I’m involved in helping organising this tour of Rural Land Sharing Co-operatives, together with Paul & Anne from the Goolawah community, to learn more about fnctioning IC’s and the possibilities of setting one up on the Mid North Coast. At the moment I am finalising a more definite itinerary of communities that we can visit and camp at. During the tour we will meet with members at a variety of communities who would give us a short tour and information about the community, its history, structure, philosophy etc. As a group of 20-30 people we would help out with an interesting gardening, building, environmental project etc allowing an exchange skills. Hopefully the tour will get enough interested people to go ahead. It would be great if you could publish/pass on the link to the IC tour on your website or mailing list so that others who may also be interested in joining an Intentional community get the opportunity to see for themselves how communities are organised.